Turned into so much more! 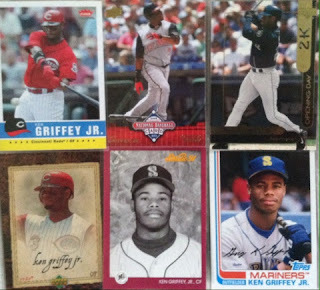 The helmet kicked off the trade, but I got plenty of other goodies including some awesome Griffey additions to the PC. Let's continue on so I can show you the goods! Up next, 90's pack goodness!!!!! 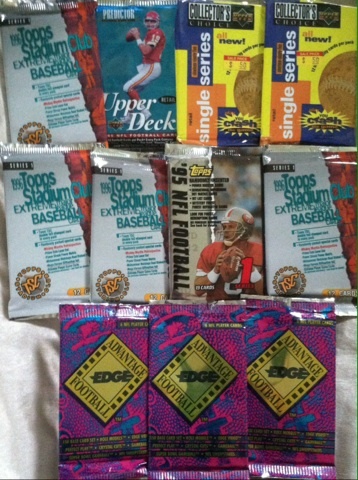 95 Stadium Club baseball, 95 Collectors Choice baseball, 95 Upper Deck football, 95 Topps football and 96 Edge Advantage football. These will be featured in upcoming Breakin Wax segments. 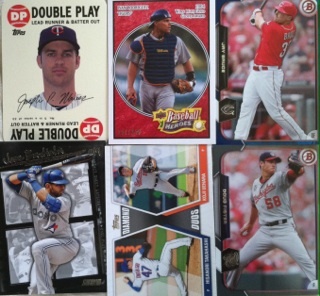 Pulled a few cool cards including another Griffey for the PC! Speaking of Griffey, this trade allowed me to add 13, well, 12 new Griffeys. I messed up on one of them. The bad part of not having your checklist done in time. 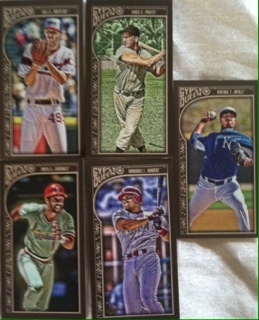 Despite that, I did still get the 13 because of the one I got in the packs. I also got to add another one because I just found it in a box lol. I really thought the Kraft cheese standup was really cool! This 2013 Archives was the one I forgot I had. At first I thought these were stupid lol. But, then I kept seeing them pop up and somehow, someway they grew on me and I fell in love. I actually liked and understood the concept and creativity, something I preach endless about. I would take this over a plain colored swatch ANY DAY. 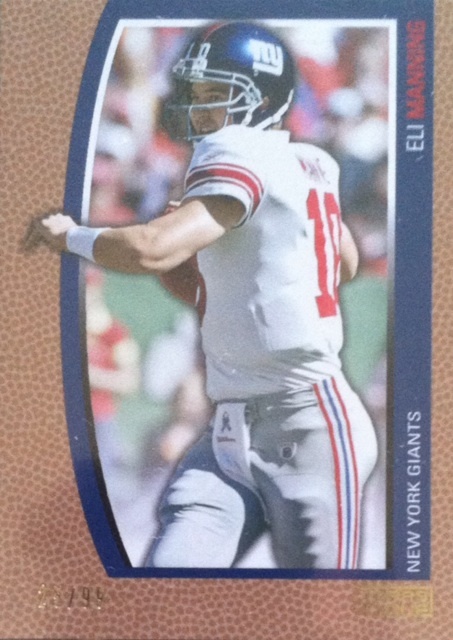 I must also note that this one is numbered 24/50. Yes, 24, the number I always consider to be Ken's. 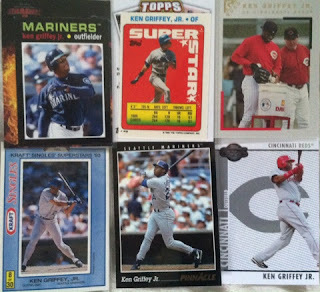 With these, my Griffey total is now up to 546. Now it's the drive to 600! 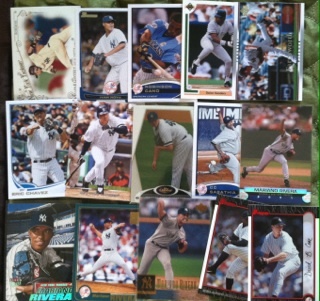 Overall, a great trade mail day from a great guy. I am already setting stuff aside for our next one. Thanks again! 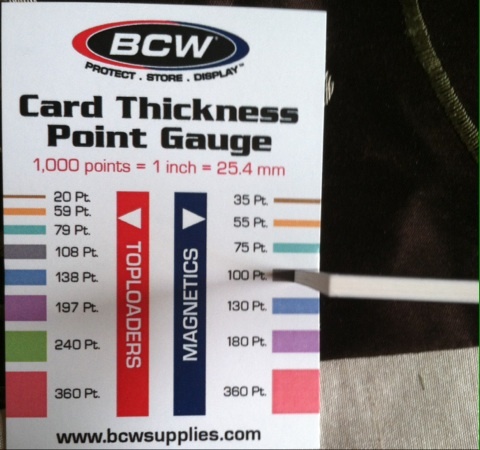 Has not having a card manufacturer making NASCAR cards affected your collecting at all? Do you miss NASCAR cards? Which company are you really hoping makes a run soon at them? I have a few mail days I have been waiting on, so when I went to pick up the mail yesterday, one struck me odd. It was a package from my good buddy up north, @DVass16. What struck me odd? I wasn't expecting a mail day from him. So as giddy as a little kid at Christmas, I tore open the package before I reached my vehicle and smiled at the results within. Inside was a note from @DVass16 "hoping that these would help my PC" and boy did they! Next up is three cards for my continuing Rueben Randle PC. I haven't added to it in awhile so adding three new cards to it really helps. First up is this big sized red-color jersey swatch. Looks really sweet and is kinda unique cause the jersey is wrinkled. 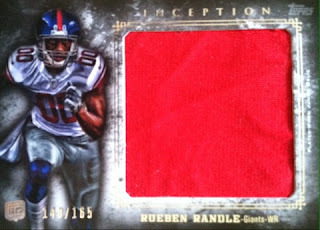 The only thing that has ever bugged me about Inception is the 00 jerseys. 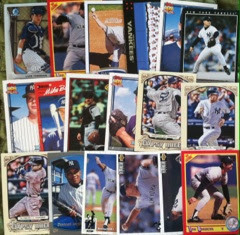 For the love of Topps put a number on them!!!!!!!!!! I haven't pulled or owned a Fabric Of The Game in YEARS. To have one that spells out Giants and of Randle...BOOOO YAAAHH! 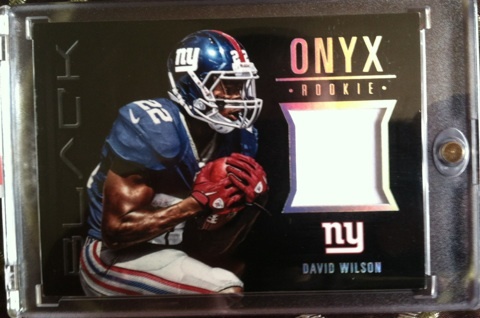 And finally, a sweet patch /49 from Absolute Memorabilia!! A HUMUNGOUS thanks goes out to my buddy @DVass16!! I really appreciate the surprise mail day. You are truly a great guy and I am proud to call you my friend. Thanks again! I was recently given the chance to try out BCW's newest line of magnetics. 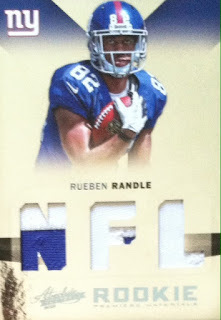 Personally, I have moved on from Toploaders for jersey cards or thicker memorabilia ones. 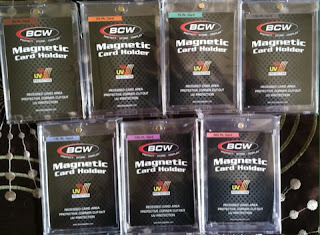 I much rather prefer magnetics as they are simpler to use and protect cards much better. However, they are a bit more costly. But, they are more worth it in the end. 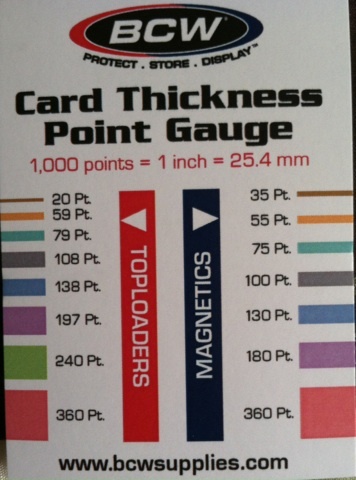 I have always struggled in deciding which size toploader or magnetic I need. I know some may just know off the top of their head, but this is a huge help in my opinion. Below, I will show you how it works if you need an example. Alright, here is how you use one of these. With a full sampling on my plate of magnetics and a card, a 2012 Panini Black David Wilson Onyx Rookie Jersey in need of some protection, I must find the card thickness to know which magnetic I need to use. It appears I need a 100pt magnetic. So I grabbed a 100pt magnetic, opened it up and within seconds had a beautiful clear protected work of art! I am a fan of these for sure. 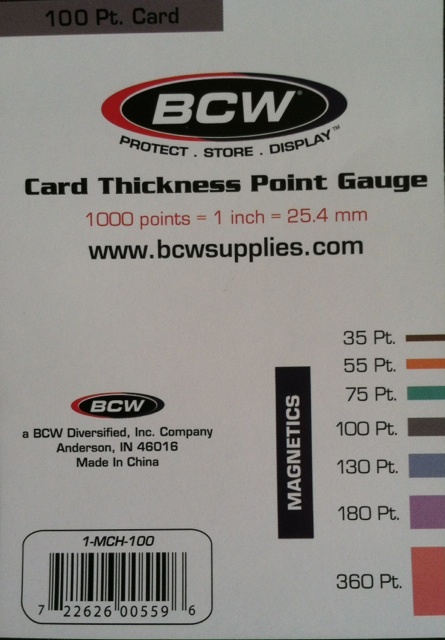 BCW offers many different thickness options for their magnetics from 35pt all the way to 360pt. 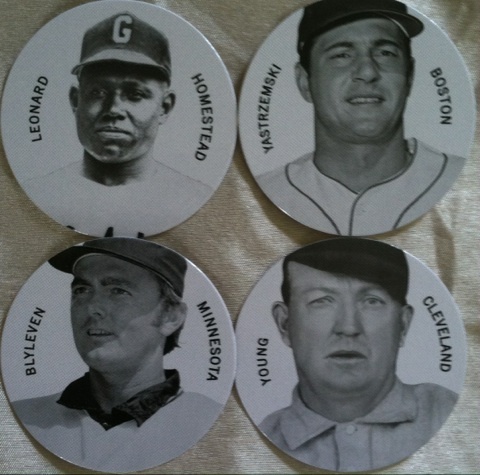 They are all UV protected so your autos won't fade and are crystal clear so you can display. You can find all of their varieties HERE. The only problem that I had with them was running out and not having enough! 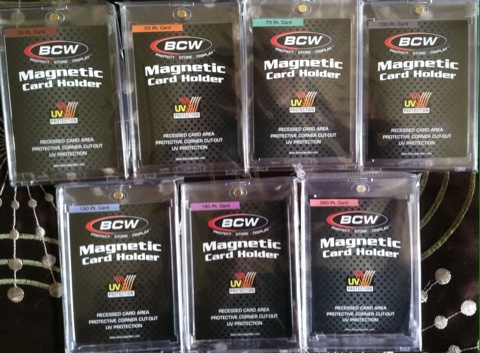 Toploaders or Magnetics for your memorabilia/autographed cards? Or both? 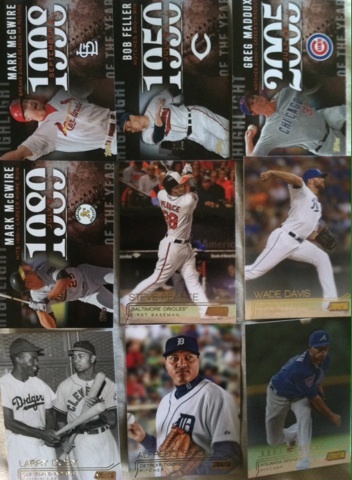 I finally accomplished highlighting all of my Griffey cards on the checklist! 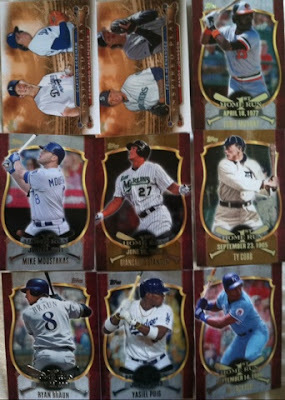 I don't have a huge amount of Griffeys like Junior Junkie, but for someone who took 10 years off collecting Griffey, I think I am doing okay. 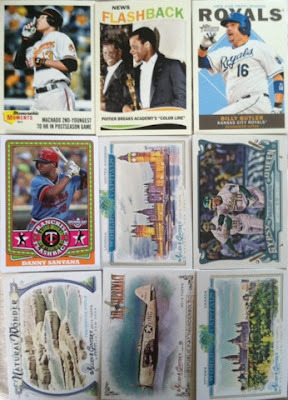 Just in the past year I have added around 100 new ones from trades with more soon on the way. 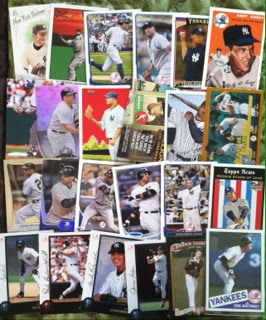 My collection mainly consists of base and insert cards, but I guess you gotta start out at the bottom of the mountain before climbing it. 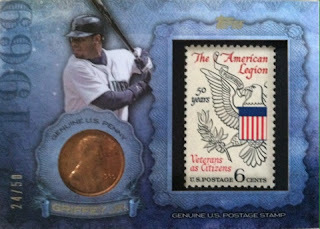 Now without further ado, I would like to reveal to you my accurate Griffey numbers (up til now).....HERE WE GO! Like I said, nothing huge but I am slowly growing. I hope to continue to and not miss anymore time. Shiny Goodness, A Grady M Mail Day Part 5: The Finale! 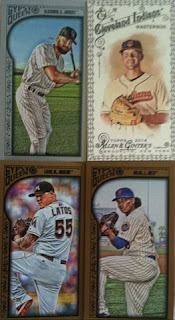 In the finale of my Grady M mail day, I take a look at the SHINY goodness that a Grady M mail day always brings. This one brought some greatness as well. 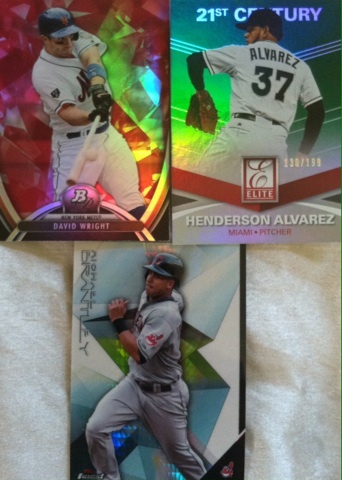 First up, Heritage Chrome and refractors. 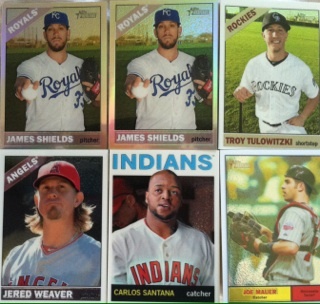 The Shields are both refractors despite my pic not showing it that well. 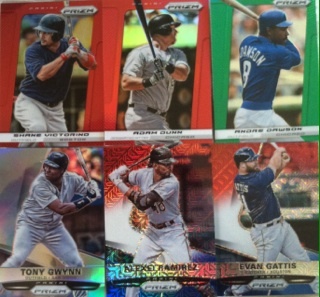 Up next is rainbow parallels from Topps 2015 including one for the Yanks PC. Here. I really like the look of these. Got two big hurts and a Bernie for the Yanks PC. 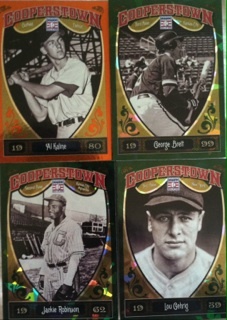 I had never seen Cooperstown up close til this mail day. Pretty impressive parallels including a cracked ice. I wished Panini carried these over into a new Pinnacle product. I loved these not only for the design, because there were different levels to collect. 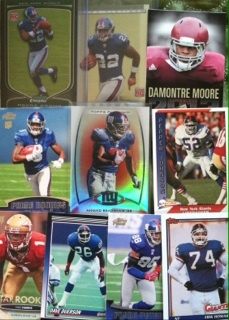 Some were tougher to pull than others and they actually had some value. More paralels. Love the glimmer. And then I will end this mail day showing with my favorite parallels, outside of Chrome, Prizm ones. Some great ones here too especially the Red/White/Blue. I hope you all have enjoyed this 5-part mail day series. 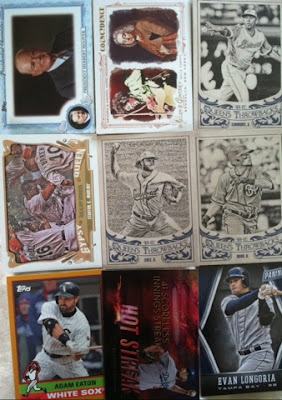 Yesterday, I posted the first half of my contest winnings from Baseball Card Breakdown blog, you can find those HERE. Today, I am posting the rest and hope you are ready! 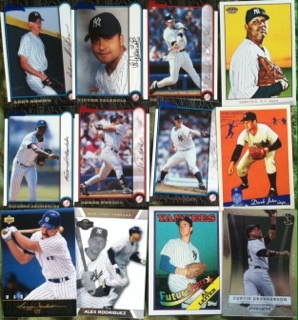 First up, I start off where I ended yesterday with more Yankees. One that really stands out here to me is the Finest Abbott. Loved that Finest design. Now we move on from baseball for a second for some GGGGGGMMEEENN! I am expecting big things this year from Moore. He has gotta step it up filling in for JPP. I will always remember this guy. He was amazing and unstoppable when not injured. Other than that amazing Tyree catch, Smith was the guy who helped them win the Super Bowl with big catches in that 4th quarter. KEN GRIFFEY! Pops as I call him. 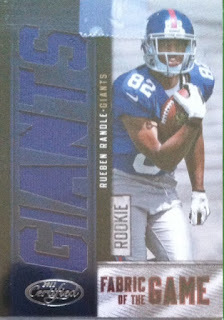 And to end this mail day showing, a SICK Roy White auto. It's also CHROME!!!! Upon flipping through Grady's mail day, I stumbled upon one Griffey card for my PC. It's a card I have been wanting. 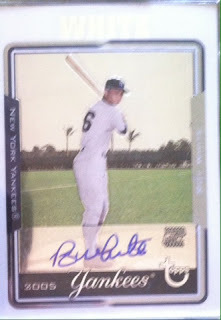 Unlike a lot of collectors of today, I get excited over a base card. Especially a well done one. 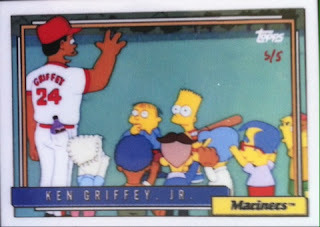 When I saw the preview for the Ken Griffey Jr Stadium Club base card I knew I had to have it. 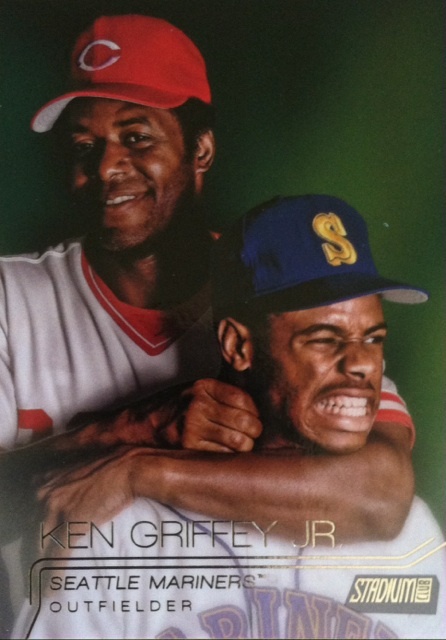 Not just because it would help towards #MissionGriffey, but it's simply just a great picture. What says baseball more than a father and son simply just having fun together? Who doesn't remember playing catch in the backyard with dad? I remember my father and I taking wiffle balls (we didn't want to use baseballs as it was a bit dangerous in such a small area of field) and we would duct tape them shut to act like a baseball. We would pitch and battle for hours. My father had a similar pitching style like Randy Johnson and oddly enough he hadn't had his hair cut for awhile and that resembled Johnson's as well. I, well, I was Griffey. Trying to imitate that swing was impossible but I did my best. I did get the best of my father after a couple years of playing as my power hitting finally did him in. 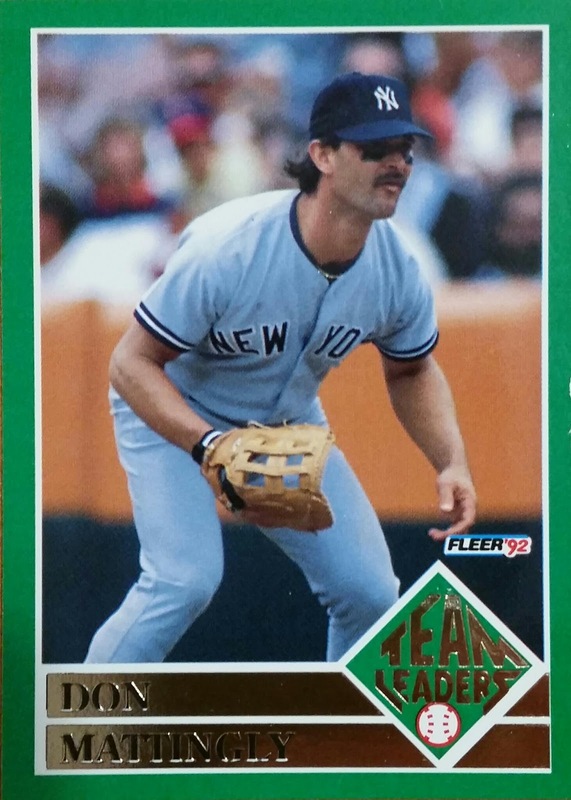 This card is a great reminder of how fun baseball is to play and how much fun I had playing it. 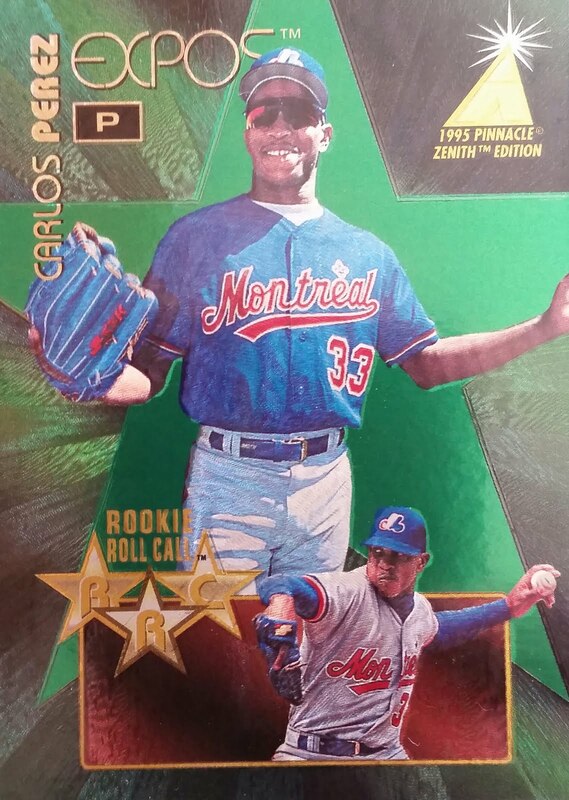 I also dig the throwback uni's as well and the expression on both of their faces. Now I gotta pass a question onto you, what base card or cards do you have in your collection that stand out to you and does it have any memories attached to it? 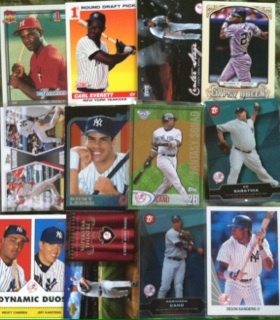 Contest Mail Day From Baseball Card Breakdown Part 1:The Yanks Are Coming! 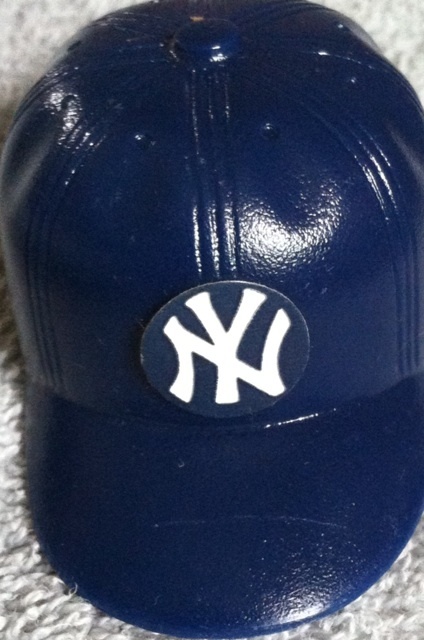 THE YANKS ARE COMING! 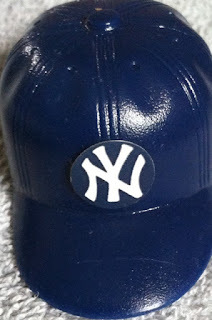 THE YANKS ARE COMING! Well, actually, they are here. And a lot of them showed up. Last week I won a contest on Baseball Card Breakdown blog (one of the many blogs on my read list you guys should check out if you haven't yet), Yes, I know. I go through streaks of winning contests. I don't do anything different than the rest who enter contests do. I just happen to pick the right numbers, score or RT at the right time. The horseshoe sometimes fits and other times I am my feet are too big. It's all about luck. Today, I received my winnings. I didn't know what to expect and was blown away with how much was sent. 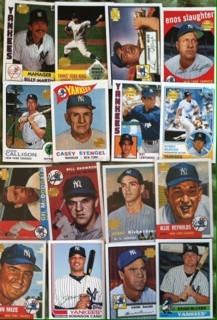 Normally with such a good sized mail day, I would just set out a few cards to show off, but this particular mail day I wanted to show off how full blown it was. I had so much packed into the box he sent, that I had to split this into two posts. The other part will be posted tomorrow. 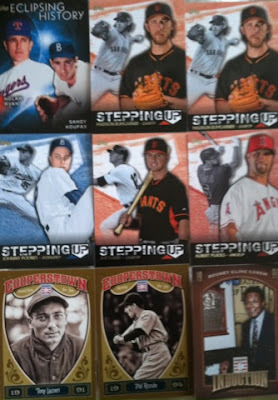 All I can say is there is an amazing guy over at Baseball Card Breakdown that's for sure. 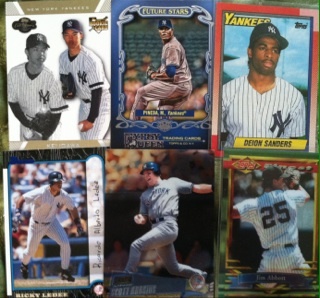 This part of the mail day had a TON of Yankees. Brands, years and players ranged from all over. It was quite impressive to see all that was in there. Enough with me rambling on, time to see some pics! 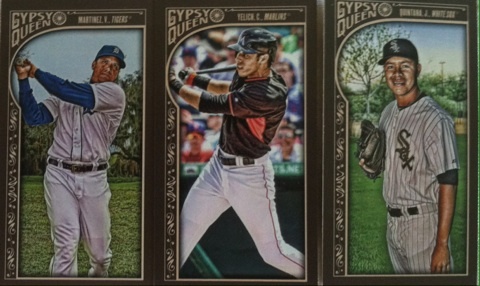 Gotta appreciate how well this Bowman design was done. A good mix of rookies and players here. Inserts as well. Now we keep rolling with the final two pics that are all Archives. Great players too! 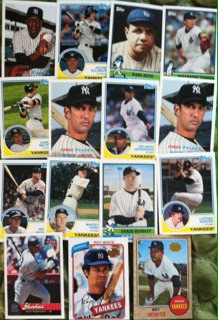 My impression of part one was excitement and my looking forward to sorting these into my Yanks binder. Most of these I don't have so this will help pad my Yankees collection a bit. If you guys think Part 1 is impressive, stay tuned for tomorrow's finale! 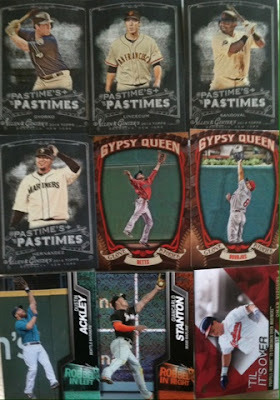 In Part 3 of my Grady M. mail day, we look at a bunch of minis. The last mail day I received from him was loaded as well with minis and you won't hear any complaints from me. So let's take a gander at which ones arrived this time. We start out with a bunch from Gypsy Queen. One of my more favorite Topps products. The Altuve is awesome. 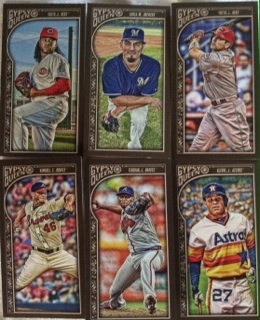 Gotta appreciate the Astros throwback uni's on a card. Lot's of players swinging away here. And we close up the Gypsy Queen part of the minis here. Next up, some from Allen And Ginter. 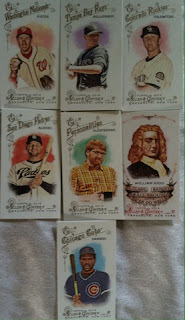 I like the pop culture addition to Allen And Ginter so these minis are a bit more fun. Mini mania has overtaken over a binder now with these recent additions. 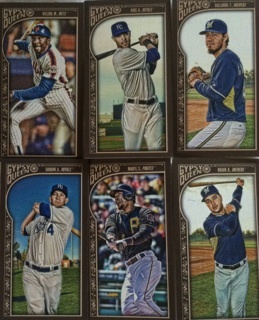 Would be fun to put together a full mini set from one product or the other, but could be a daunting task. Guess it depends on how far along I am first. Thanks for reading and Part 4 will be posted up tomorrow! Today's Part 2 of my Grady M. mail day consists of tons of baseball inserts. I should sit down sometime and see if I am close or have any of the sets from his multiple mailings. Maybe a project for another day. Today's project was getting this second part of the mail day posted as I have three more posts to go after this. Let's kick off today with some mini disks that came from 2013 Panini Cooperstown. Love the Young photo and could be fun one to caption. You know, "ooops, I did it again." "Promise I won't let another one rip at the table" "Wait, what are you trying to say?! I am smiling!" Up next is a nice lot including a few numbered ones. I thought the Mauer Double Play card was pretty cool. 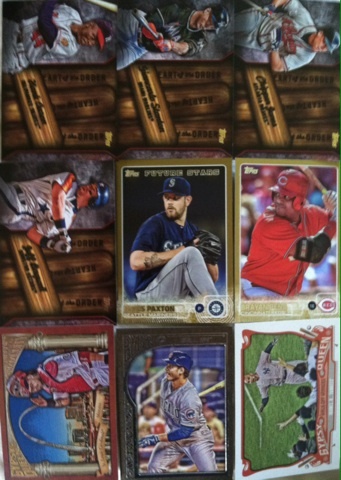 More Topps inserts from 2015 along with a few cards from Cooperstown. Once again, big fan of the design of the top insert here. And here. Along with some Stadium Club gold. 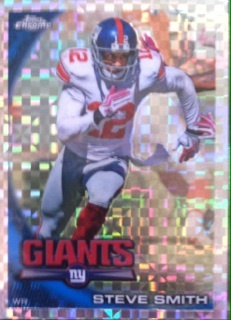 My focus is still on the base card photos. 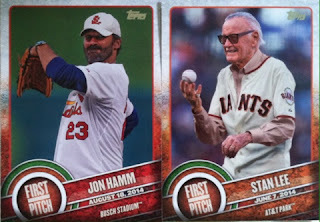 And still my favorite insert from Topps Series 1 and 2 in many years is the First Pitch insert. Love the celebrity/baseball mash-up. Now if I could only get the "Fluffy" one I desire. 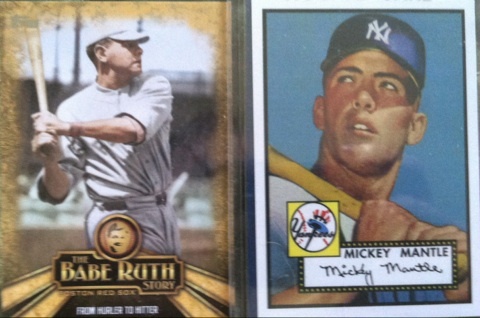 Part 3 of my Grady M. mail day will be coming up soon! JULY CONTEST! GUESS THE NUMBER, WIN A PRIZE LOT!